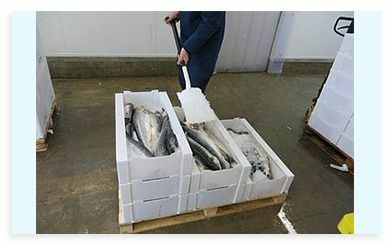 We manufacture standard leakproof boxes ranging in size from 5lb(3kg) to 50lb. Our standard leakproof box base has a ‘fold-over-end’ design making it completely watertight. An added benefit to a completely waterproof material with sealed edges that eliminates the risk of bacterial contamination in open flutes. Certified for airfreight you can be sure your product will reach its destination by the fastest means possible in excellent condition. Your freight provider will no longer need to be concerned with leakage from your packages. Popular with any retailer interested in reducing waste disposal cost and supporting their Green initiative.